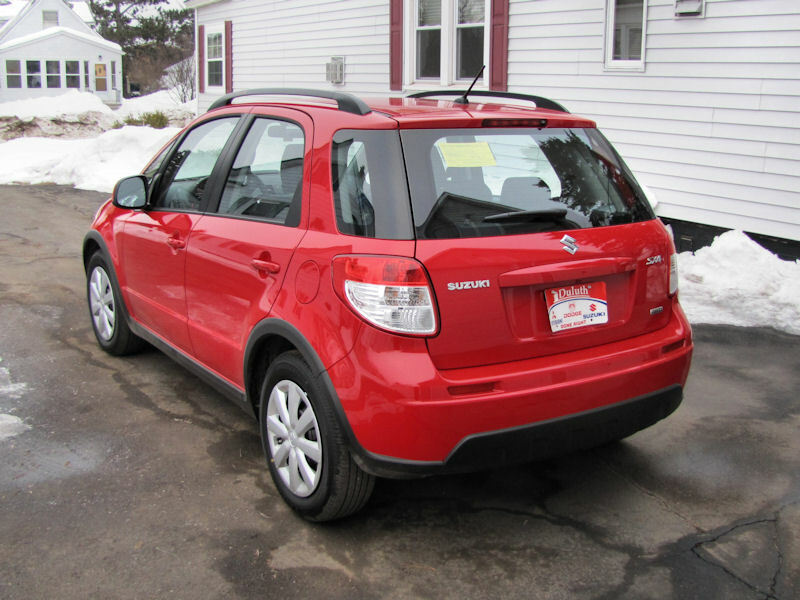 Well, it has been two years since we went car shopping and guess what sunshine and warm weather after two years of driving the same car leads to. . . .
We bought a 2010 Suzuki SX4 Crossover – AWD. Click on any of the above for a bigger view. 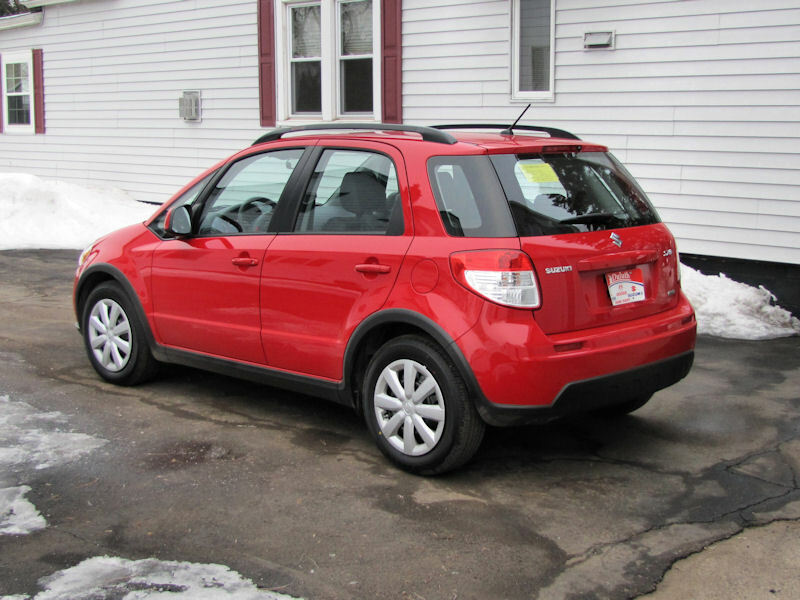 It has AWD with a CVT transmission 🙂 – about the same size as the Nissan Versa we traded but quieter and a bit easier ride. It also has a lot of tech toys! Type Suzuki SX4 and realize that is a lot of Scrabble ™ points if we were counting. 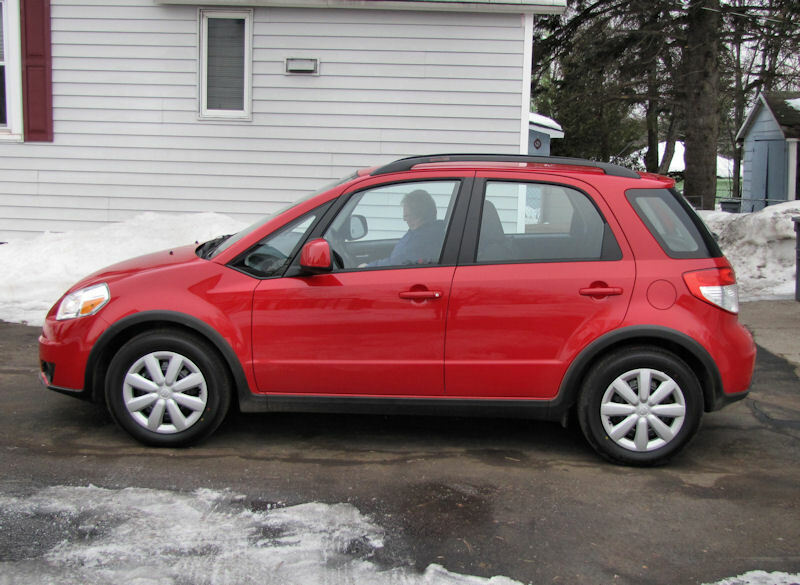 One more photo – we have less than 100 miles on it – fun to drive! 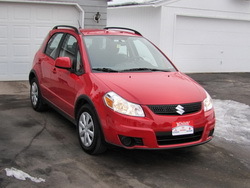 We got it almost off the truck, when we stopped into the dealer, I told the salesman I wanted to test drive the red SX4 and he said they did not have one – I had saw it on their web site the day before and he had to find the person who does the web because that is where the information on the car was. Not prepped or even cleaned up – we have put all the miles on this one. First 20 were on our test drive. Great little car with AWD under 20 grand! 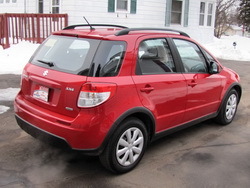 I hope I don’t get to try the AWD this weekend – they are predicting sleet!